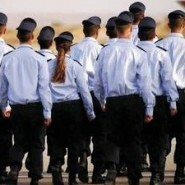 Home » Current Events » Israel’s 1st Religious Female Fighter Pilot: What Do YOU Think? Israel’s 1st Religious Female Fighter Pilot: What Do YOU Think? In 3 weeks, the hundreds of relatives and friends who will be attending the pilot course graduation of the Israeli Airforce will be seeing something unprecedented: a female soldier in a modest ankle-length skirt receiving her wings. I love it when someone proves that being religious is not a penalty! That goals and dreams can still be accomished and in a very special and meaningful way. Yasher koach! So what are the halachik problems? First of all, once a woman is in the army, the rabbinic view is to support her 100%. Rabbi Rontzky, who was the chief Rabbi of the IDF was completely against women serving in the army. At the same time, he did more than any other rabbi to assist and support the women who were already serving in the IDF. There are also certain rabbis who support women’s participation in the IDF, such as Rabbi Sherlo and Rabbi Riskin. In general, though, there is a halachic question regarding whether it is “beged ish” for a woman to be carrying a weapon and acting in a militaristic way. Secondly, the IDF is a place that has tremendous influence on Israeli society. 80% of Israelis spend 2-3 years there, or more. So whatever happens in the army is going to affect the society as a whole. The push to have women in combat positions seems to be orchestrated in order to make it so that all of society will be mixed and in order to blur the different roles between men and women. From a Jewish point of view, a woman’s central role is a nurturing one, as a mother, as a wife, and doing acts of kindness in the community as a whole. While historically there were certain examples of women warriors(Devora and Yael for example) it’s not the Jewish ideal for a woman to be fighting in combat. Is that what your Rabbi said or is that your observation? It would seem more realistic to say that the army is simply responding to an existing societal phenomena, not subversively orchestrating it…. I’m quoting what my rabbi said. That this is to make the society even more mixed and to blur the roles further. Though you’ re right that this is already the situation to a certain extent. I just think it is sad – (not regarding halacha of women being in the armed forces) but that women should be part of an army – since the whole purpose of armies is to destroy enemies/defend our people. Defense is necessary, but I think a woman’s role is more tied into bringing life into the world rather than ending it. Soldiers are not murderers but they have to be able to end the lives of others when necessary. It just seems to be so contrary to our essential nature. It is hard enough that men have to train themselves to be hard and cold to the fact that the enemy is also someone’s son. I am so proud of her and trust that if she was brought up religious she certainly knows her halachic limitations, including those of pikuach nefesh. Even more so, I’m proud of the Israeli Air Force for enabling equal opportunity for all. As for the above comment, is it not in the nature of a woman to want to protect her family? This woman is in fact dedicating her life to protecting her extended family, all the children of Israel. The Jewish People are never about death, we are about life, and the preservation of it. I most definitely think there’s a mixing of roles here. I’m a great believer that women are totally capable of everything men are and beyond. That doesn’t mean that’s what we need to be doing. Why aren’t men walking around asking to wear dresses and open their own gan? Why are we women always looking to be like one of them? To me its just the same as women who want to read from the torah in shul – is our role degrading that we need to take on someone else’s? Do men question why they don’t light shabbos candles? We need to open our eyes and start being proud to be a women, a real women, not because we’re like men. I think one of the greatest capabilities of a woman is that she can fight like a warrior and have the strength to move worlds – all quietly without anyone knowing about it. That is true power. I wonder – what would everyone think if almost all soldiers on the battlefield were strong healthy women and only a few men- would that bring us security and joy? Without weighing this particular case of an individual who I don’t know, I’d like to comment on women being killers (soldiers must be ready, able and willing to kill or they are not good soldiers) and whether this is something to applaud and encourage. If you look into a slaughterhouse, where anyone can work, you’ll notice something interesting. No woman chooses to work there. Men work there quite happily. Why is this?